Mullah Fazlullah, the new leader of the Pakistani Taliban, has a reputation as a ruthless commander prepared to do anything to enforce his uncompromising interpretation of Islamic law. He has succeeded Hakimullah Mehsud, who was killed in a US drone strike in North Waziristan last week. He led the Taliban’s brutal two-year rule in Pakistan’s northwest valley of Swat, which saw supposed wrongdoers flogged and beheaded in public and hundreds of schools burned down. Under Fazlullah’s rule, Green Square in Mingora, the main town of Swat, became known as “Bloody Square” for the slaughtered, bullet-ridden bodies that were hung in it almost every day. 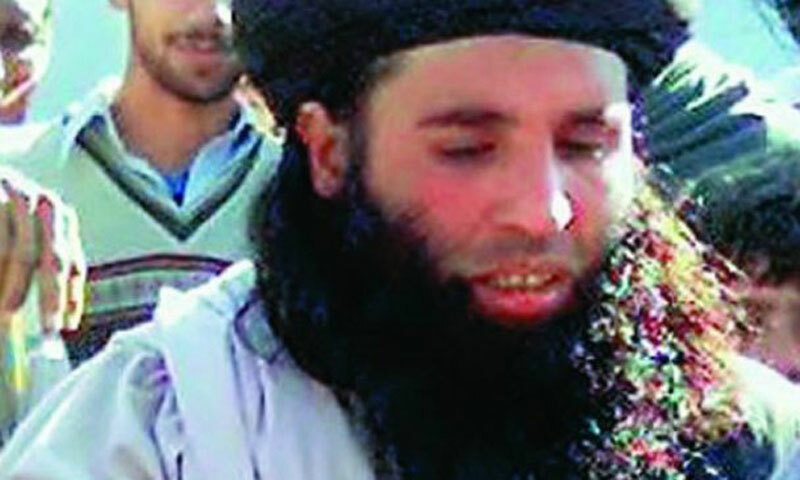 Fazlullah, believed to be aged 39, was born Fazal Hayat in Swat. He studied at an Islamic religious school and worked as a chairlift operator and sold firewood, before joining his father-in-law’s Tehrik Nifaz-i-Shariat-i-Muhammadi (TNSM), or Movement for the Enforcement of the Sharia of Muhammad (pbuh). After US-led forces entered Afghanistan to oust the Afghan Taliban from power in 2001, Fazlullah joined thousands of Pakistanis who crossed the border to fight what they saw as a “holy war” against the invaders. He was arrested on his way back to Pakistan but was later released on bail and became the head of the Sharia movement in Swat after his father-in-law was jailed. In 2006 he began delivering fiery sermons on his own FM station, earning the nickname “Mullah Radio,” railing against polio vaccination programmes and girls’ education. After a deadly army operation to clear the radical Lal Masjid (Red Mosque) in Islamabad, Fazlullah merged his TNSM with the newly formed Tehrik-i-Taliban Pakistan (TTP). As his control of Swat, once a popular tourist destination known as the “Switzerland of Pakistan,” grew from 2007 onwards, Fazlullah set up Sharia courts that handed out savage punishments. In 2009 Malala Yousafzai, aged just 11, began a blog on the BBC Urdu website chronicling the horrors of life under the Taliban. The TTP made an unsuccessful attempt to kill her in Swat in October last year, saying she had campaigned against them. She survived being shot in the head and has gone on to become a global icon of the struggle against extremism. An army offensive ended Fazlullah’s rule in Swat in 2009 and he escaped with a band of loyalists into the mountains of eastern Afghanistan, from where they have continued to orchestrate attacks in Pakistan. Fazlullah, who has a $500,000 government bounty on his head, has mounted some brutal and humiliating attacks on Pakistan’s military, including the beheading of 17 soldiers after an attack in June 2012. In September, soon after Pakistan’s political parties had backed a government plan for peace talks with the Taliban, Fazlullah’s men responded with violence. A bomb attack killed two senior army officers, including a major general, in the country’s northwest, a galling blow for the military. Fazlullah claimed the attack in a video message in which he spelled out his hardline position. “We will remove any hurdle to enforcing Islamic Sharia. Our goal is very clear – we want the law of Allah in Allah’s land,” he said. MIRAMSHAH: The Tehrik-i-Taliban Pakistan (TTP) have elected hardline Swat Taliban leader Mullah Fazlullah as their new chief, a week after former supremo Hakimullah Mehsud was killed in a US drone strike in North Waziristan. “Fazlullah is the new TTP chief,” TTP caretaker leader Asmatullah Shaheen said at a press conference at an undisclosed location in northwest Pakistan. TTP spokesman Shahidullah Shahid also confirmed the announcement. “Following proper consultations … we chose our senior commander Mullah Fazlullah as our new ameer (leader),” he told news agency Reuters by telephone from an undisclosed location in neighbouring Afghanistan. The election of hardline commander Fazlullah further dampens expectations of any peace deal between the insurgents and the Pakistani government. “There will be no more talks as Mullah Fazlullah is already against negotiations with the Pakistan government,” said the spokesman, rejecting the idea of any further peace talks. Heavy gunfire was reported in celebration in Miramshah, the main town in North Waziristan tribal area, following the announcement of the new chief. Fazlullah, whose men shot teenage schoolgirl Malala Yousufzai last year, led the Pakistani Taliban’s brutal two-year rule in northwestern Swat valley in 2007-2009 before a military operation retook the area. He fled across the border to Afghanistan and is now believed to operate from Nuristan province. Nicknamed Mullah Radio for his fiery radio broadcasts in Swat valley, Fazlullah is considered hardline even within the Pakistani Taliban movement itself. The killing of former chief Hakimullah Mehsud on Friday came as the Pakistani government said representatives were prepared to meet the TTP with a view to opening peace talks. The drone strike triggered an angry response from Islamabad, with Interior Minister Chaudhry Nisar accusing Washington of sabotaging peace efforts. Prime Minister Nawaz Sharif was more measured, but said his government was committed to seeking peace through dialogue and stressing that an end to bloodshed could not be achieved “by unleashing senseless force”. Sharif came to power in May partly on a pledge to hold talks to try to end the TTP’s bloody insurgency that has fuelled instability in the nation. In September he won the backing of major political parties in an APC to begin peace negotiations with Taliban insurgents. The TTP, an umbrella organisation grouping numerous militant factions, has killed thousands of soldiers, police and civilians since 2007 in its campaign against the Pakistani state.